Laura Addy is a B-List Specialist Regulatory Advocate. Laura has a background in general criminal. This has led her to successfully develop a practice in areas of regulatory crime. She has significant experience in prosecuting and defending in local-authority prosecutions dealing with varying matters from noise abatement appeals, environmental matters to fishing law. 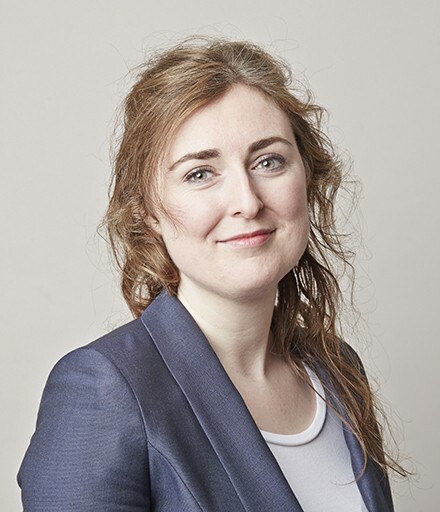 More recently such work has found Laura representing Defendants in a number of different cases who have faced trading standards offences and dealing with cases of judicial review. R v Danter – East Yorkshire builder who assisted York residents in the Christmas floods was prosecuted for fraud when he undertook remedial work on the flooded properties and asked for money for items he then did not purchase for the work. Flooded homes were left in a worse state of repaid than after they were flooded and the complainants were £48,000 out of pocket. R v Butler – repeated Contempt of Court Act proceedings for breach of restraint order. R v Lee – trading standards prosecution for fraud where horses obtained under false pretenses and then resold with false paperwork and representations. GSPK v Harrogate Borough Council – prosecuted a noise abatement appeal in which following the Court being advised of the legal tests the Defence conceded the case after hearing the evidence of the first witness. Kershaw v The Crown court at York – Judicial review. Hillsborough prosecution disclosure work – Tasked to review large volume of disclosure documents and assess whether the status of those documents. Laura has also developed a particular interest and expertise in inquest work, including those with a jury. She has represented the local authority and care homes in cases where the death of an individual in their care has raised human-rights issues. Laura has most recently represented a paramedic in the highly publicised case concerning the death of Hayley Gascoigne, a young mother who suffered a cardiac arrest at Hull Crown Court and Mr Smith incorrectly identified Miss Gascoigne’s heart rhythm. It was found that Mr Smith’s error did not contribute to the death as Mr Gascoigne’s chances of survival at the time he arrived were less than 50%. As a result of this case the Coroner recommended that all Court buildings should have defibrillators. So every time one is seen in the Court building it can be said that this is due to this case. Inquest touching upon the death of James Nigel Butterfield – jury inquest in to the death of a hotel porter when the Harrogate Majestic hotel suffered devastating fire. Death deemed an accident. Inquest touching upon the death of Terence Hunter – an inquest into the death of a man who was in supported housing where Article 2 was engaged as a carer visited and left Hunter after she found him slumped over the television, but due to his alcoholism thought he was just asleep rather than dead. Inquest considered whether his life could have been saved if he had been given medical attention at this point, but due to the fact that the time of death was uncertain it could not be said on the balance of probabilities that intervention at this stage could have saved him. Laura Addy may accept Public Access work, where she can be instructed directly by a member of the public rather than a solicitor. Instructed by York City Council Laura Addy appeared at York Crown Court yesterday to prosecute Owen Danter. On the 28th and 29th June 2018 Laura Addy represented Gary Long in the recent inquest into the tragic death of Hayley Gascoigne that was held at Hull Coroner’s Court before Professor Marks. Article 2 inquests – are they becoming more common for grieving families? If Article 2 style inquests are becoming more common, is the ambit of the inquisition broadening generally? Laura Addy questions whether it is this prospect why the government attempted to limit access to legal aid for families involved in inquests. She considers the remit of the coroner’s court and the importance for grieving families.